You try and you try but you can't get no satisfaction anymore. The two of you have always had a beautiful relationship–short and summer-bound though it may have been. However, you've grown apart. You need space, lots and lots of it. It's just not working. You think there's gotta be more. There's gotta be more to a mojito. Lucky you, now you can have a man–wait for it–go mojito. Same supporting cast as your old mojito: crushed mint leaves, sugar, limejuice, crushed ice and soda water. 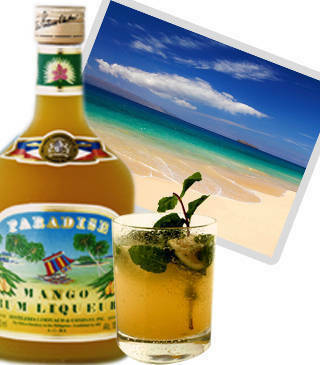 Instead of that ordinary white rum, though, introduce the new front act, Paradise Mango Rum Liqueur. Garnish with a slice of lemon and it's the start of another beautiful relationship. Paradise Mango Rum Liqueur is available in selected SEAIR flights and in all leading supermarkets and retail outlets nationwide. Call Convoy Marketing Corporation at (632) 361-49-89 or email them at convoy@convoymktg.com for bookings and inquiries about Paradise Mango Rum Liqueur.